MDM and EMM were only the beginning of the modern workspace evolution. Now, more people than ever before are working remotely—introducing a proliferation of assorted devices and platforms that need to be managed and secured in the enterprise, and consequently creating unprecedented challenges for IT and business leaders. The solution? 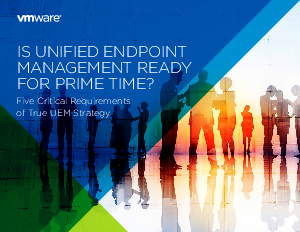 Unified endpoint management (UEM).